If you’re inspired by history or looking for some visual prompts for your poetry, pay an online visit to the Washington Rural Heritage Collections of the Washington State Library. The Collections provide free access to digitized primary sources documenting the early culture, industry, and community life of Washington State. 152 cultural institutions have participated in the project and there’s a link to the archive for each one on this page. It’s a fascinating and surprisingly personal collection. On PBS NewsHour, view a selection of photographs of poets by B.A. Van Sise. The photographer, who is a descendant of Walt Whitman, has created a series of portraits, Whitman’s Descendants, each based on a poem by the individual portrayed. The collection is apparently slated for publication. At the University of Arizona Poetry Center, the LaVerne Harrell Clark Photographic Collection now offers more than a thousand previously unpublished photographs of poets, taken between 1960 and 2007. Clark was a photographer and the original director of the Poetry Center. After her death, her collection of some 12,000 negatives and prints of poet portraits were donated to the Poetry Center. Kim Addonizio appears in a portrait based on her poem “First Poem for You.” Photo by B.A. Van Sise. The Washington State Library invites you to play with your books: find a literary face on your bookshelf (or the library), snap a photo and submit it wslmedia@sos.wa.gov. More on the Library Facebook page. National Poetry Month is rich with prompts (see here, for example). But if you’re seeking something unique, some unintentional prompts, you’d do well to lay hands on The Seduction of Color: Photographs from the Collection of Robert E. Jackson, published by Marquand Books | Paper Hammer, 2013. Jackson is clearly obsessed with snapshots (he has more than 11,000 in his collection). What draws him, one sees, is not the scrapbook-perfect image, but the suggestion of a story untold, a poem unwritten. These are people we almost know, places we could have been, things we might have seen. These are images shoved into a shoebox, a paper bag, a drawer, found in the bottom of a carton at a garage sale — their meaning lost, their mystery intact. This is an artist’s book, carefully curated by Jackson himself and exquisitely printed and hand-bound by Paper Hammer Studios in Tieton, Washington. If you’re in Seattle (or Tieton), see (buy!) the book at Paper Hammer. Meanwhile, learn more here. And then go write a poem. View other posts tagged poetry prompts. 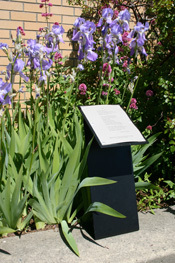 The Ferndale Arts Commission invites you to visualize a poem, take a photo and submit it to the Free Verse Photo Project. Select a few words or lines from a favorite poem and present them off the page in a non-traditional way. For examples and inspiration, see the Academy of American Poets Free Verse Project. Photographs must be at least 8″ x 10″ and must be mounted for display. Entries will be accepted at Ferndale City Hall (2095 Main Street, Ferndale, WA 98248) in person or by mail between February 1, 2013 and March 20, 2013. Online entries cannot be accepted. Entry forms are available online from the Ferndale Arts Commission and at Ferndale City Hall. Entries will be displayed in participating Ferndale businesses during National Poetry Month (April) and prizes will be awarded to three selected entries. For additional information, contact Marla Morrow at 360-384-0050 or ferndalearts@cityofferndale.org. Special thanks to our 2010 contest photographers, Cyndi Bennett and Nancy Canyon (awards ceremony) and Katie Humes (Poetry Walk).